Grab your gloves!! Cardio Kickboxing is coming to CrossFit Adoration!! Cardio Kickboxing will now be offered starting the week of June 18th! Our Cardio Kickboxing class offers you awesome full body fitness in a way that is both challenging and fun. Certified fitness instructor Chris Watkins has trained in Muay Thai kickboxing for over 9 years and in this class he combines Muay Thai inspired techniques and circuit training to provide an incredible cardio, strength and balance enhancing workout.This is not a fighting or martial arts class and no experience is required! Free standing and hanging heavy bags will be used in the class so please bring gloves and wraps! Classes will be held Tuesdays and Thursday at 12pm, ( Come in during lunch and burn off some of that work day frustration!!) Thursday 6:45pm and Saturday at 11am. Unlimited Monthly Kickboxing membership is $75.00. You can also use our 10 visit Punch Cards for this class. CrossFit Adoration members can add unlimited monthly kickboxing classes for only $20 per month. First class is always FREE!! So grab a friend and check it out!! 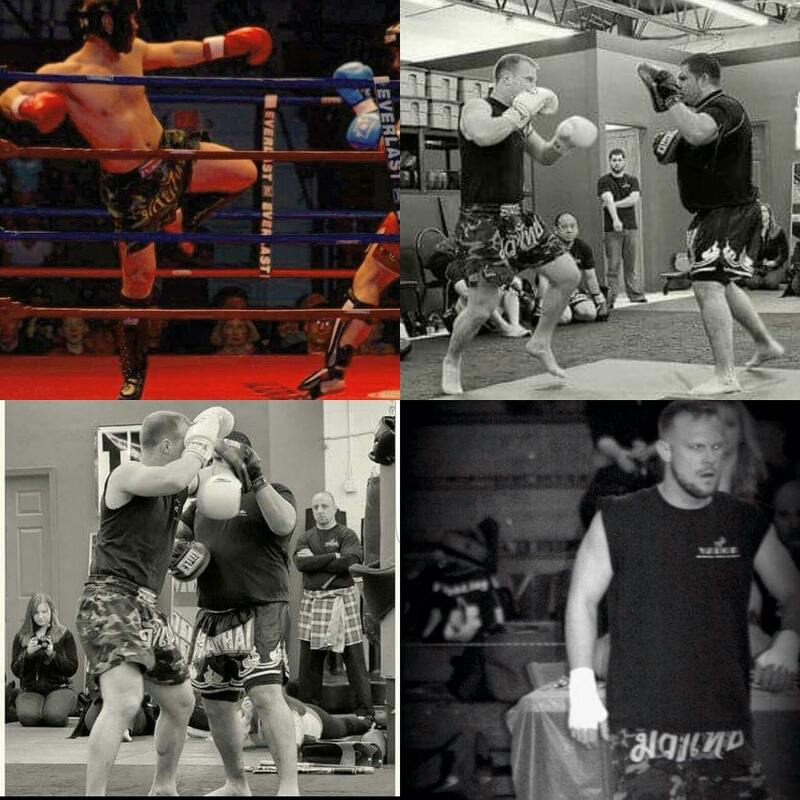 Here’s a little information about our Kickboxing Instructor Chris Watkins. Chris Watkins is a certified fitness trainer who provides personal and group training at numerous fitness centers throughout Greater Philadelphia and the Lehigh Valley. He is an MBA graduate with a B.A. in English/Communications and has worked as an adjunct teacher at Northampton Community College. He has extensive fitness instructing experience and trains personal clients of all ages and levels and leads a wide variety of original and challenging small and large group exercise classes. With over 9 years of training in Muay Thai kickboxing (Chris recently spent 2 weeks training at legendary Buakaw Banchamek’s gym in Thailand), he also instructs cardio boxing and cardio kickboxing classes and trains in self-defense through Malay Combat Systems, LLC. Chris brings a strong passion for teaching and a unique combination of skills and experience to all his classes.